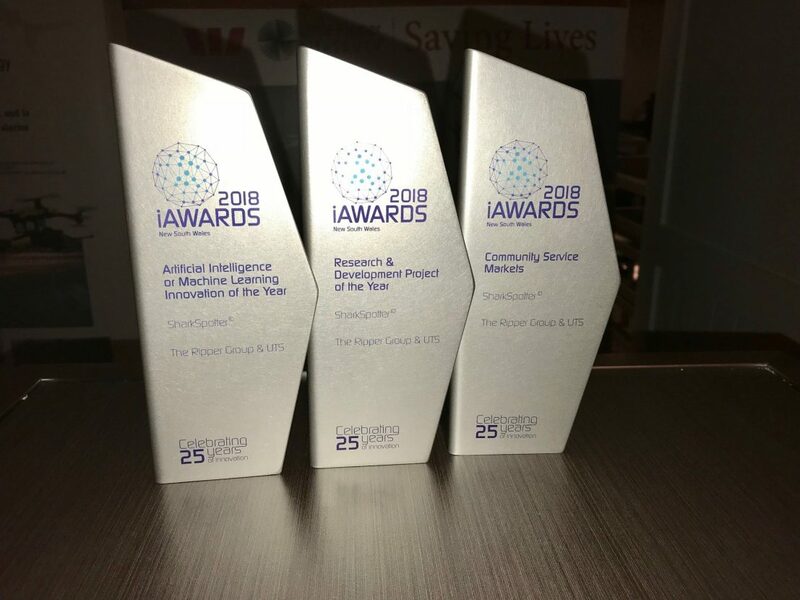 On 7 June 2018, the Ripper Group and its university partner UTS won the triple crown of industry awards at the 2018 NSW iAwards conducted by the Australian Information Industry Association (AIIA). The awards are conducted by the AIIA to acknowledge the leaders in Australia’s Information and Communications Technology (ICT) arena, and are very prestigious. This is the first time in its 25-year history that a single entity has won the Triple Crown. SharkSpotter© is the world’s first automatic, real-time artificially intelligent shark detection system for drones. 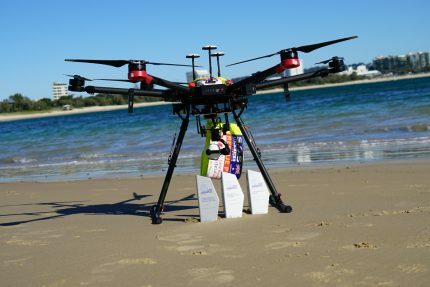 SharkSpotter© enables drones to patrol beaches to detect sharks and other safety hazards (rips, etc.) and people in distress through real-time image processing. It is currently deployed at more than a dozen beaches and has assisted over 50 people in the past year. These advanced machine learning techniques significantly improve aerial detection accuracy to >90%, compared to conventional techniques such as helicopters with human spotters (18%), fixed wing aircraft spotters (12% accuracy) and humans analysing aerial imagery (20–30%). The software detects 16 different objects: swimmers, surfers, different boat types, rays, dolphin, whales, sharks, turtles, large fish), drones, humans, tents on beaches. This intelligent real-time data processing raises an appropriate alarm when a shark/potential threat is detected, and automatically alerts surf lifesavers when emergency beach evacuations are required. Additionally, there is an ability to drop a lifesaving flotation pod with electronic shark repellent from the drones during emergency situations (e.g. for swimmers drowning, trapped in rips or near approaching sharks). Read More About Sharkspotter™ and our collaborative research project with UTS.